This up to 1000 years old snow has metamorphosed into highly pressurized glacier ice that contains almost no air bubbles. Thus it absorbs the visible light despite the scattered shortest blue fraction, giving it its distinct deep blue waved appearance. 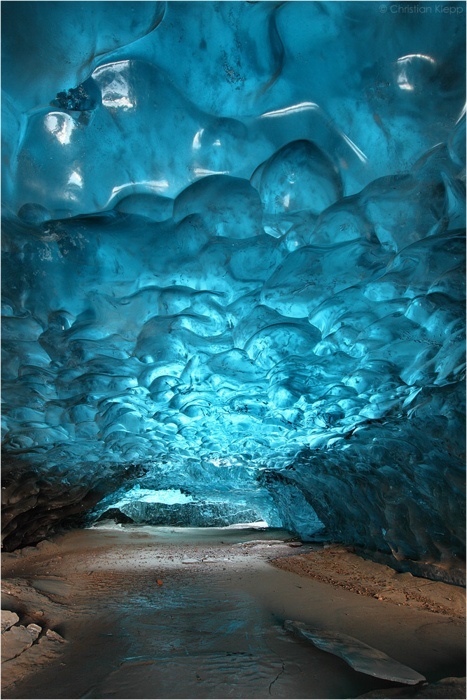 This cavity in the glacier ice formed as a result of a glacial mill, or moulin.